The image at the top of this post was once the Twitter banner of billionaire Betsy DeVos until she got busted for it. What makes the image so controversial is the blatant product placement. 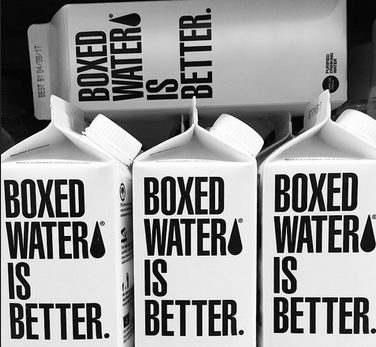 Those little white boxes that look like something out of the movie Repo Man are for a “boxed water” product sold by the company Boxed Water is Better LLC whose tagline is “Boxed Water is Better”. Among The Windquest Group’s portfolio of companies is Boxed Water. 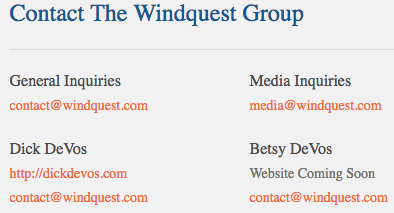 In fact, The Windquest Group’s address listed on an SEC filing (201 Monroe Ave. NW, Suite 500, Grand Rapids, Michigan 49503) is the same as the address listed on Boxed Water’s contact page. In other words, they were using the Flint water crisis to promote sales of their boxed water product, the one being hawked in Betsy DeVos’s Twitter banner for awhile. No further donations were ever mentioned after the initial press release in February, even on The Windquest Group’s Boxed Water page. The DeVos family is a major contributor to the Koch brothers front group The Mackinac Center for Public Policy which is active in both the State Policy Network (SPN) and the American Legislative Exchange Council (ALEC), both of which are Koch brothers’ projects with the mission of having corporate interests setting public policy and making laws across the country. The Mackinac Center has been a huge proponent of Emergency Management in Michigan and the first Emergency Manager appointed by Gov. Rick Snyder was Louis Schimmel, a former Mackinac Center adjunct scholar. So, to sum it all up, Betsy DeVos and her family have promoted groups that helped put the anti-democratic policy of Emergency Management in place in our state and, once Snyder-appointed Emergency Managers took steps that led to the poisoning of Flint’s drinking water with the powerful neurotoxin lead, Betsy DeVos used the catastrophe as a way to profit from it by promoting Boxed Water, a company she is heavily invested in. It may seem like a tangled web but, like her connection to Boxed Water, the line between the Flint water crisis and Betsy DeVos profiting from it is short and straight.